Can we really replace your bathtub in just one day? Yes, we can! Your new tub is fabricated based on detailed measurements, so we know it will be a perfect fit. Once it’s ready, our expert installers will show up with everything they need to complete the job. 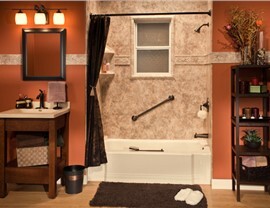 We’ll arrive in the morning, and you’ll be luxuriating in one of our Bolingbrook replacement tubs that night! Is your shower a bit dated? 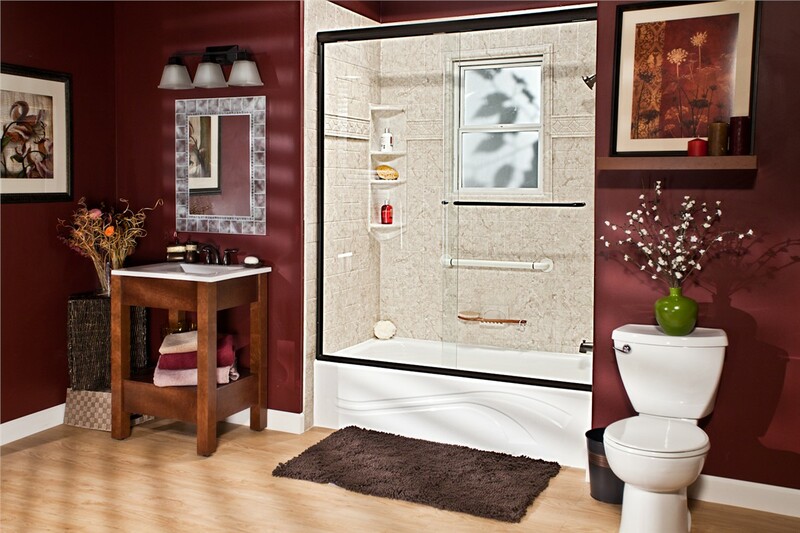 Boost the style in your bathroom with our of beautiful Bolingbrook showers. Dozens of style and color combinations make it easy to find a shower that will complement the other design elements in your space. Homeowners love how easy it is to keep our showers clean—harsh cleaners and daily scrubbing will be a thing of the past. 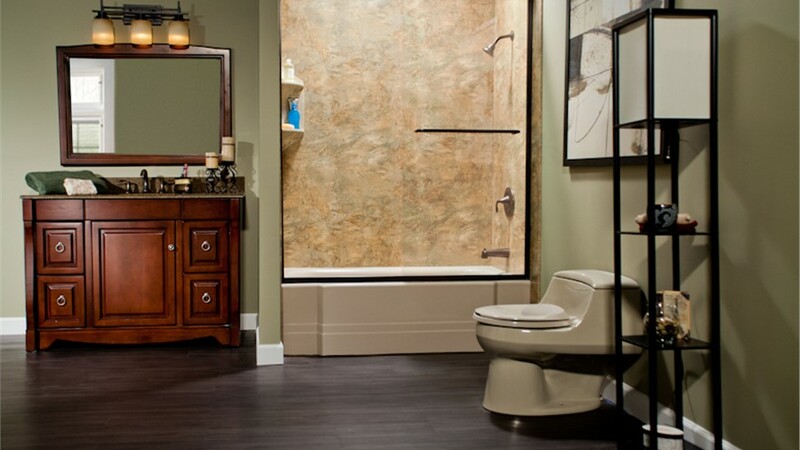 If your bathroom lacks a tub you need or has a tub you never use, you can transform the space with our tub-to-shower or shower-to-tub Bolingbrook bath conversions. 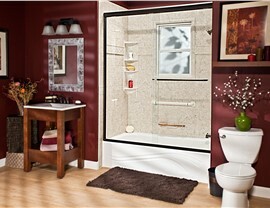 We’ll use the footprint of your existing tub or shower, so the installation is fast and easy. Make the most of your space and get the functionality you need—all for much less than the cost of a traditional renovation. If someone in your home has limited mobility, accessibility is a top concern. Minimize the risk of a slip and fall accident and allow every member of your household to enjoy independent bathing with our top-rated Bolingbrook walk-in tubs. 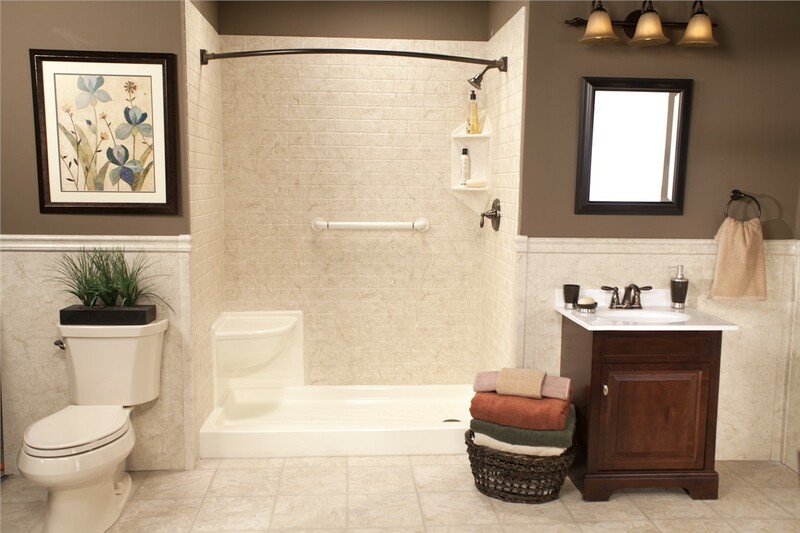 The ultra-low threshold, ADA-approved grab bars, and comfortable built-in seat are just some of the features that make our tubs a smart solution when enhanced safety is the goal. Our walk-in tubs are available in several colors and styles, so you don’t have to sacrifice the look of your space to get the accessibility you need. 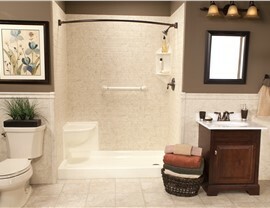 If you need accessibility and prefer a shower, ask about our popular Bolingbrook barrier-free showers. The zero-threshold entry makes them easily accessible—even to individuals in a wheelchair. Like many of our other products, we can install our safety showers in as little as a day. 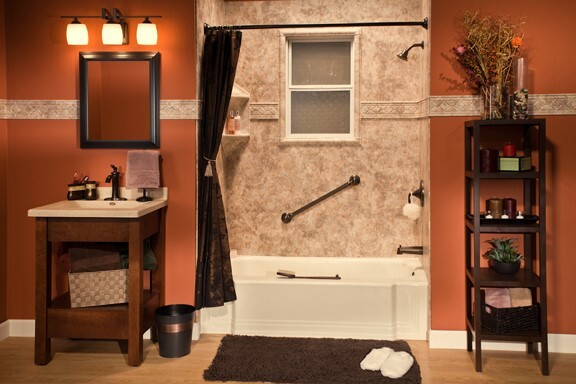 Add accessories like a rainfall showerhead, caddies, or shelves for an accessible shower with a custom look. What’s been stopping you from making the Bolingbrook bathroom updates you need? 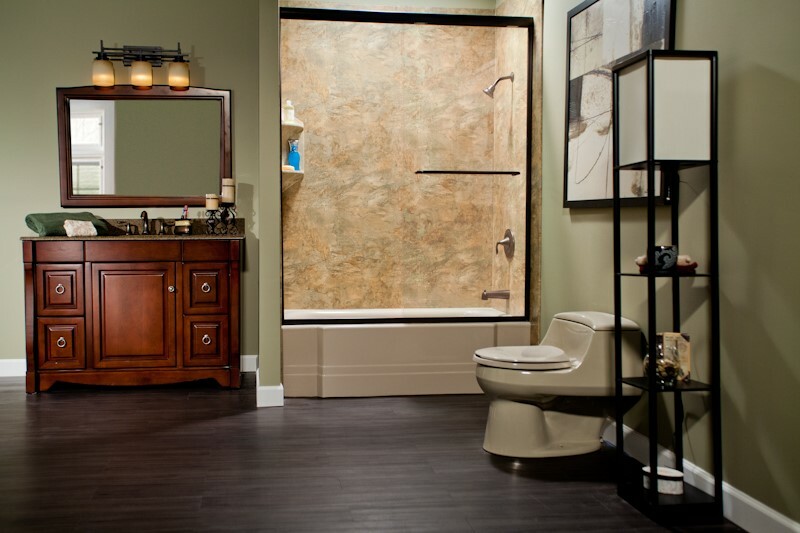 Talk to our team at Bath Planet of Chicagoland to see if we can help you overcome those obstacles, so you can enjoy the beautiful bathroom you deserve. Give us a call or fill out our simple online form now to request a free design consultation and estimate.